The Miao Ethnic Minority is the 4Th Largest Ethnic Minority Group in China. 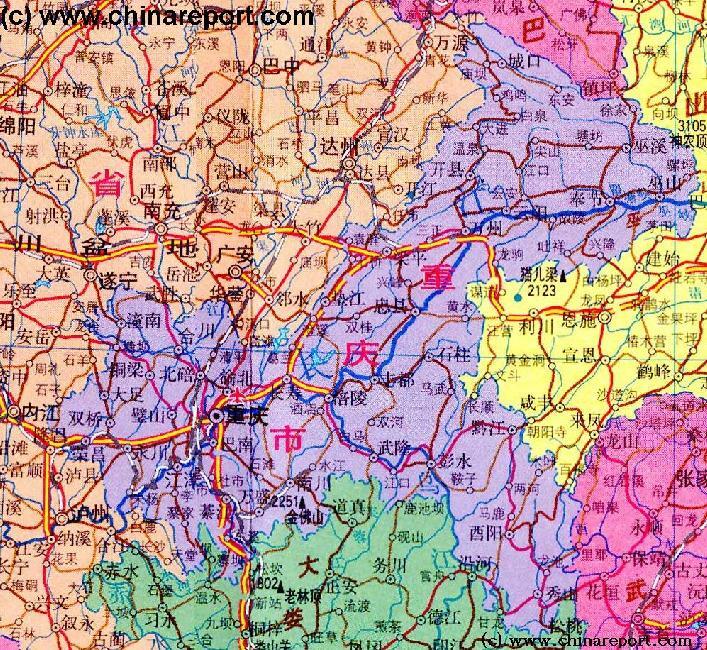 Much of the traditional lifestyle of the Miao ..
A Geographic overview Map of Chongqing City Province entire delineating provincial borders and parts of neighboring Shaanxi Province in the North, Hubei Province in the North and East, Hunan Province in the South-East, Guizhou Province in the South and Sichuan Province in the West. Includes Cities and Towns (shown by size), Main Monuments & Landmarks of Chongqing City Province such as the Three Gorges o/t Yangtze River, The 3 Gorges Dam, the lesser Three Gorges of the Daning River and the location of Miao and Tujia Ethnic Minority communities in Chongqing City Province. Other map features are the locations of Main Mountains (with Height), major highways, provincial railroads and main railroad-stations, and main waterways & rivers. This Map further provides links to on site photos and information on the Cities and Main Monuments Other sites will be included in the Future. A Schematic overview Map of Yunnan Province entire and large parts of neighboring Regions of Tibet Autonomous Region, Sichuan Province, Chongqing City Province, Guizhou Province, as well as the nations of Laos and Myanmar (Burma). 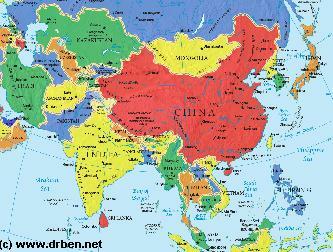 This Map Includes Cities and Towns (shown by size), the location of ethnic minority communities of various size, Main Monuments & landmarks of Yunnan Province, major highways and roads, provincial railroads, a variety of border passes into Burma and Laos, main mountains with height plus main waterways, rivers and lakes of this large region. Please browse the map and follow the links to more information. 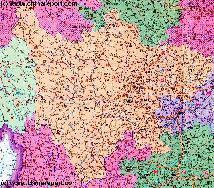 A Geographic overview Map of Sichuan Province entire, and parts of bordering regions of Qinghai Province, Gansu Province, Shaanxi Province, Chongqing City Province, Guizhou Province, Yunnan Province and Tibet AR. 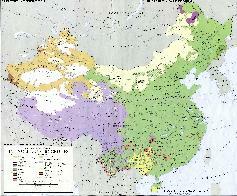 The Map clearly delineates Sichuan Province provincial borders. 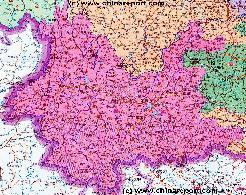 This Map Includes Cities and Towns (shown by size), Main Monuments & landmarks of Sichuan Province, Main Mountains (with Height), major highways, provincial railroads and main railroad-stations and main waterways & rivers. This Map further provides links to on site photos and information on the City and Area of Chengdu, nearby Cities & Villages. Other scenic or historical sites will be included in the Future.